Don’t hesitate to contact us by phone, email, or using our General Inquiries form. Sunday – Thursday: 7:30 a.m. – 8:30 p.m.
Friday & Saturday: 7:30 a.m. – 11:30 p.m. Parking is free for guests who reserve a room on campus. Spaces are available to accommodate buses. Take the Champlain Bridge from Montreal to Autoroute 10. Take exit 140 for Sherbrooke (Autoroute 410). Travel South to the end of Autoroute 410. Follow the roundabout towards route 108 East – route 143 North (Sherbrooke). Continue on route 108 East until you reach Rue College. Turn right on College. Bishop’s University is after the bridge, so take the first entrance immediately (20 feet) after the bridge. Be careful, you cannot enter from the second road onto campus, it is EXIT ONLY. If you miss the first entrance, take the third (Sports Centre entrance). Take Autoroute 20 from Quebec City until you reach Drummondville. Take Autoroute 55 south for about 110 kilometres until you reach exit 140 for Sherbrooke (highway 410). 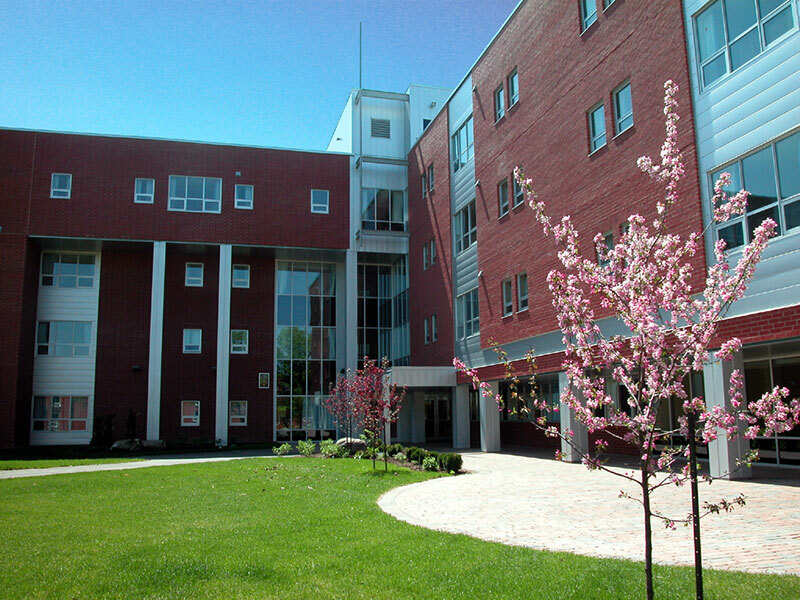 Our offices are located in Paterson Hall. Take Interstate 91 North to the Canadian border. Cross the border at the Stanstead Border crossing. Once in Canada, stay on the 55 for 1 km, take the first exit onto Highway 143. Take route 143 (for 45 minutes) takes you straight into Lennoxville. Turn right a main intersection on College street.